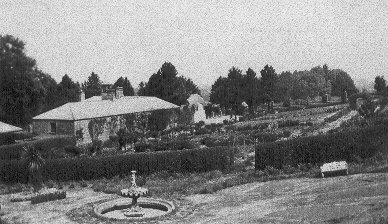 Redburn House was designed by the architects Lanyon, Lynn and Lanyon and built for Robert Grimshaw Dunville and his wife Jeannie in 1865. 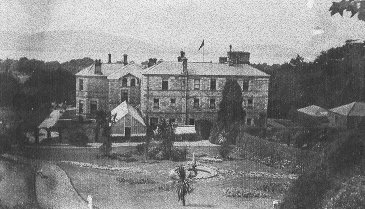 It had seventy rooms, the most grand of which were the entrance hall and the ballroom, and it was set in one hundred and seventy acres of land, with views of Belfast Lough and the hills of Antrim. It was looked after by sixteen house staff and ten groundstaff. A stables block with a clock tower and a walled courtyard were added in 1879. It housed sixty horses for hunting and four horses for drawing carriages, as well as the quarters for the sixteen grooms. 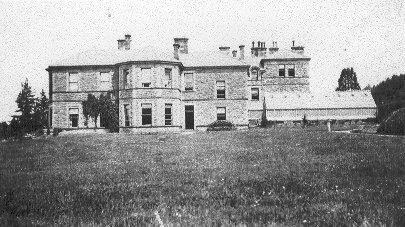 The last Dunville to live at Redburn House was Robert Grimshaw Dunville's daughter-in-law Violet. 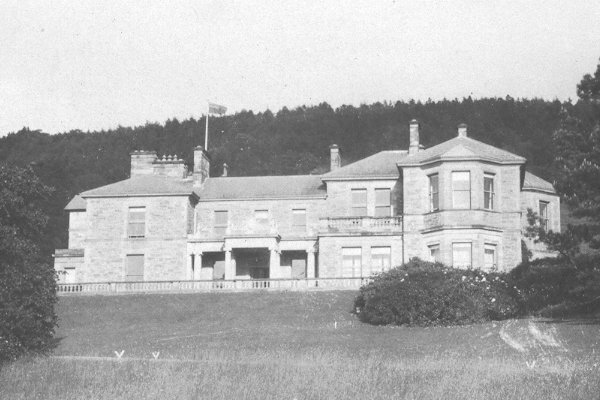 When she died in 1940, the Second World War was being fought and Redburn House was commandeered by the Air Ministry to accommodate members of Women's Royal Air Force. 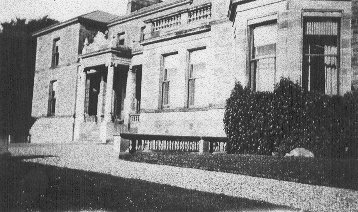 After the war Redburn House became derelict and vandalised, and it was later demolished. It was replaced first by a hotel, which was converted to a staff members' club for British Petroleum, and then by Holywood Nursing Home. 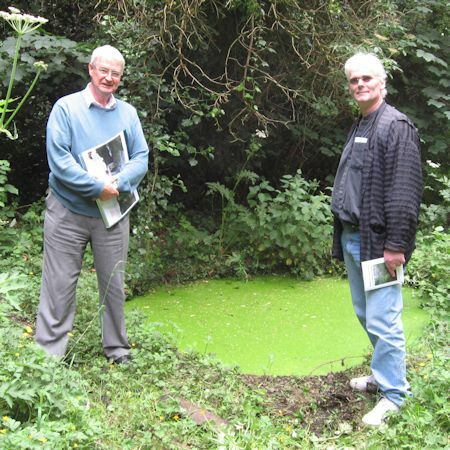 The land was used for a cemetery, a school, a housing estate and Redburn Country Park, which is open to the public. 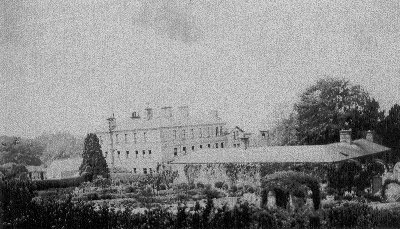 The view across Belfast Lough to Antrim would have been to the north-west, and so the conservatory would have been, quite reasonably, on the south corner of the house. The main entrance would have been on the north-west side of the house and the stables to the east of the house. 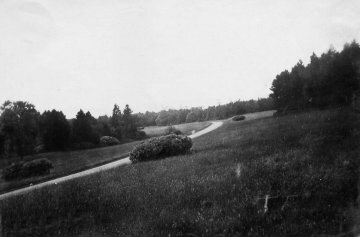 The photograph at the top was provided by Gordon Thompson, who is a son of Tommy Thompson, the Gamekeeper of Redburn House. The other photographs were provided by Christopher Dunville, who is a descendant of the Dunville Family of Redburn House. Sam Christie and Christopher Dunville in front of what was the ornamental fountain in the garden of Redburn House, on 25 June 2017. Sam Christie is inter alia a Dunville family historian and the leading authority on Redburn House and its outbuildings, garden features and grounds, which now form Redburn Country Park. Christopher Dunville is a great-grandson of Robert Lambart Dunville (1893-1931), the fifth Chairman of Dunville & Co. Ltd.